Earlier this month I wrote that I was collaborating with AT&T Small Business at its first 2016 AT&T Small Business Roundtable. 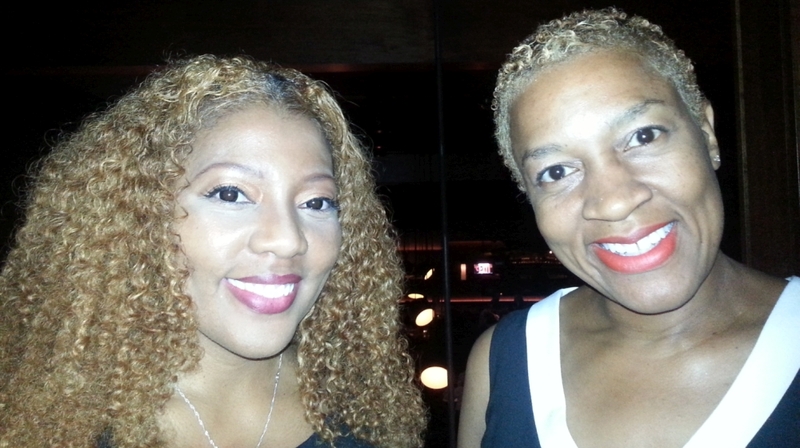 AT&T flew me to Chicago for the event. And what a night that was. There was swapping of business cards, snapping of photos, and tweeting and Facebooking. And it was also an exchange of important ideas. The event was part of AT&T’s “Power of &” campaign which is about helping entrepreneurs and small businesses engage in continuous learning to solve business challenges through the power of agility. Bill Rancic, the first Apprentice winner and now a restaurateur, hosted the evening at one of his terrific restaurants, RPM Steak. 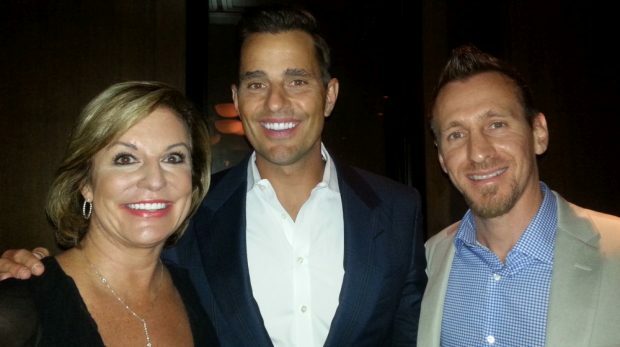 In the networking portion, I was delighted to re-connect with people I know such as experts like Susan Solovic and Adam Toren (pictured with Bill Rancic). Long-time friend, author and entrepreneur Barry Moltz, local to Chicago, also was there. I also met other business owners — and ran into some awesome fans of this website, too. The team back home said “no way!” when I texted and said I’d met site fans at the Roundtable. Here’s a video recap of the event capturing the excitement and energy in the event. The Roundtable was a central piece of the AT&T “Power of &” campaign. If we entrepreneurs and business owners are going to compete successfully today, we have to be agile. We have to sense trends and changes, and adapt to new environments. If we move fast and leverage technology and services provided by great partners, we can pull ahead of competitors and succeed. That’s what the “Power of &” suggests: thinking of what we do as an “and” working together with business partners like AT&T to be more agile. Roundtable small business participants talked about the many ways the world is changing and how those changes affect our businesses. The range of businesses represented at the event was wide — everything from a distribution business, to a web designer, to an air transportation business, to the operator of startup incubators, to an affiliate marketer, to a small nonprofit — and more. 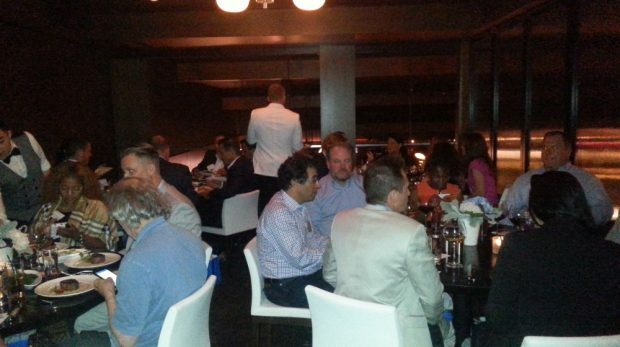 Business owners at the event also raised a wide range of issues as their top concerns. Issues spanned from the upcoming new overtime regulations, to social media overwhelm, to rising health care costs, to changing consumer habits, to affiliate marketing regulations. But no matter what industry you’re in, no matter what the challenges, the successful responses tended to be similar: leverage technology wherever possible, learn, adapt, lean on stronger partners, pivot on a dime when necessary, and persevere. It was a reminder to me in my business to stay nimble and don’t get complacent — and don’t try to go it alone, either. I was impressed with the senior support from AT&T. Attending were the heads of several AT&T departments that serve and support small businesses, as well as Cathy Martine, AT&T Senior Vice President of Corporate Business Solutions. Cathy holds a key role within AT&T when it comes to small businesses. And she couldn’t have been more gracious. She sat down at every table, listening and engaging. The fact that so many AT&T execs were willing to go to Chicago for this event said a lot to me about their commitment and the entire “Power of &” campaign. I also learned a lot about AT&T’s solutions and what AT&T is doing to support small businesses to be more agile. One example: I learned about the AT&T Fiber Ready Building program, where AT&T is proactively connecting buildings to its fiber network. In this way, they are helping small business tenants in those buildings respond with agility to new opportunities, without the need to bear all the cost of installing a fiber infrastructure. Be sure to check out Business Circle, the online hub for information about the Power of & campaign, with loads of advice, pointers and insights. And go here to learn more about the power of agility. Oh, and I’d like to also announce the winner of our Windows Lumia 950 phone giveaway (courtesy of AT&T – thank you!). The winner is … Jenny Ham from Kansas! Congratulations, Jenny — your phone will be on its way to you shortly. NOTE: This is a sponsored article and I am being compensated by AT&T to participate in the “Power of &” campaign. All thoughts and opinions are my own, however.